Orkney (Scottish Gaelic: Arcaibh), also known as the Orkney Islands, is an archipelago in the Northern Isles of Scotland, situated off the north coast of Great Britain. Orkney is 16 kilometres (10 mi) north of the coast of Caithness and comprises approximately 70 islands, of which 20 are inhabited. The largest island Mainland is often referred to as "the Mainland". It has an area of 523 square kilometres (202 sq mi), making it the sixth-largest Scottish island and the tenth-largest island in the British Isles. The largest settlement and administrative centre is Kirkwall. A form of the name dates to the pre-Roman era and the islands have been inhabited for at least 8500 years, originally occupied by Mesolithic and Neolithic tribes and then by the Picts. Orkney was invaded and forcibly annexed by Norway in 875 and settled by the Norse. The Scottish Parliament then re-annexed the earldom to the Scottish Crown in 1472, following the failed payment of a dowry for James III's bride Margaret of Denmark. 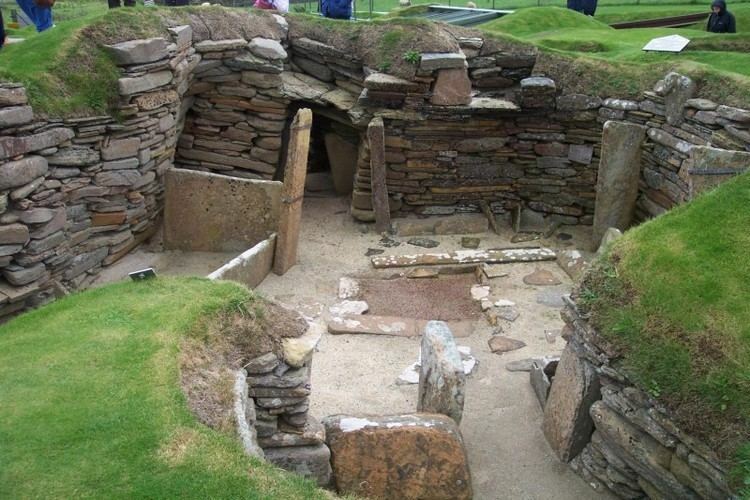 Orkney contains some of the oldest and best-preserved Neolithic sites in Europe, and the "Heart of Neolithic Orkney" is a designated UNESCO World Heritage Site. Orkney is one of the 32 council areas of Scotland, a constituency of the Scottish Parliament, a lieutenancy area, and a historic county. The local council is Orkney Islands Council, one of only three Councils in Scotland with a majority of elected members who are independents. In addition to the Mainland, most of the islands are in two groups, the North and South Isles, all of which have an underlying geological base of Old Red Sandstone. The climate is mild and the soils are extremely fertile, most of the land being farmed. Agriculture is the most important sector of the economy. The significant wind and marine energy resources are of growing importance, and the island generates more than its total yearly electricity demand using renewables. The local people are known as Orcadians and have a distinctive Orcadian dialect of Scots and a rich inheritance of folklore. There is an abundance of marine and avian wildlife. Pytheas of Massilia visited Britain - probably sometime between 322 and 285 BCE - and described it as triangular in shape, with a northern tip called Orcas. This may have referred to Dunnet Head, from which Orkney is visible. Writing in the 1st century AD, the Roman geographer Pomponius Mela called the islands Orcades, as did Tacitus in 98 AD, claiming that his father-in-law Agricola had "discovered and subjugated the Orcades hitherto unknown" (although both Mela and Pliny had previously referred to the islands.) Etymologists usually interpret the element orc- as a Pictish tribal name meaning "young pig" or "young boar". Speakers of Old Irish referred to the islands as Insi Orc "island of the pigs". The archipelago is known as Ynysoedd Erch in modern Welsh and Arcaibh in modern Scottish Gaelic, the -aibh representing a fossilized prepositional case ending. The Norse knew Mainland Orkney as Megenland "Mainland" or as Hrossey "Horse Island". The island is sometimes referred to as Pomona (or Pomonia), a name that stems from a sixteenth-century mistranslation by George Buchanan, which has rarely been used locally. During the Roman invasion of Britain the "King of Orkney" was one of 11 British leaders who is said to have submitted to the Emperor Claudius in AD 43 at Colchester. After the Agricolan fleet had come and gone, possibly anchoring at Shapinsay, direct Roman influence seems to have been limited to trade rather than conquest. 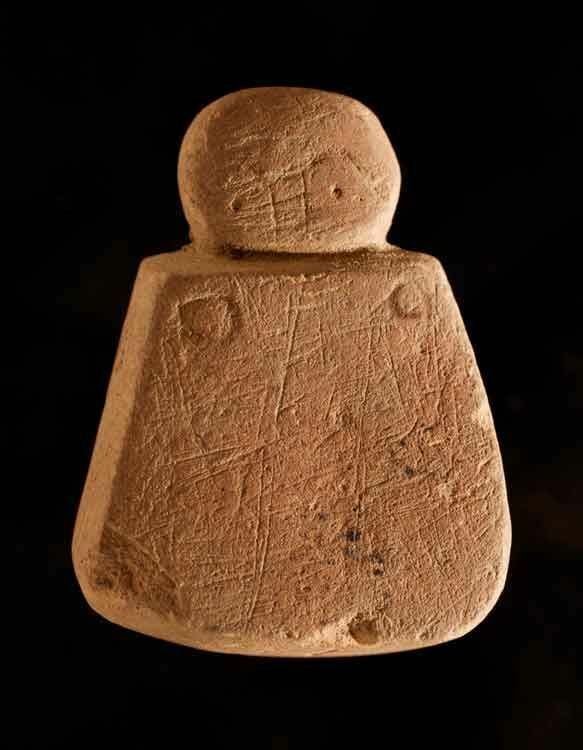 By the late Iron Age, Orkney was part of the Pictish kingdom, and although the archaeological remains from this period are less impressive there is every reason to suppose the fertile soils and rich seas of Orkney provided the Picts with a comfortable living. The Dalriadic Gaels began to influence the islands towards the close of the Pictish era, perhaps principally through the role of Celtic missionaries, as evidenced by several islands bearing the epithet "Papa" in commemoration of these preachers. However, before the Gaelic presence could establish itself the Picts were gradually dispossessed by the Norsemen from the late 8th century onwards. The nature of this transition is controversial, and theories range from peaceful integration to enslavement and genocide. However, Sigurd's line barely survived him and it was Torf-Einarr, Rognvald's son by a slave, who founded a dynasty that controlled the islands for centuries after his death. He was succeeded by his son Thorfinn Skull-splitter and during this time the deposed Norwegian King Eric Bloodaxe often used Orkney as a raiding base before being killed in 954. Thorfinn's death and presumed burial at the broch of Hoxa, on South Ronaldsay, led to a long period of dynastic strife. Initially a pagan culture, detailed information about the turn to the Christian religion to the islands of Scotland during the Norse-era is elusive. The Orkneyinga Saga suggests the islands were Christianised by Olaf Tryggvasson in 995 when he stopped at South Walls on his way from Ireland to Norway. The King summoned the jarl Sigurd the Stout and said, "I order you and all your subjects to be baptised. If you refuse, I'll have you killed on the spot and I swear I will ravage every island with fire and steel." Unsurprisingly, Sigurd agreed and the islands became Christian at a stroke, receiving their own bishop in the early 11th century. Thorfinn the Mighty was a son of Sigurd and a grandson of King Máel Coluim mac Cináeda (Malcolm II of Scotland). Along with Sigurd's other sons he ruled Orkney during the first half of the 11th century and extended his authority over a small maritime empire stretching from Dublin to Shetland. Thorfinn died around 1065 and his sons Paul and Erlend succeeded him, fighting at the Battle of Stamford Bridge in 1066. Paul and Erlend quarreled as adults and this dispute carried on to the next generation. The martyrdom of Magnus Erlendsson, who was killed in April 1116 by his cousin Haakon Paulsson, resulted in the building of St. Magnus Cathedral, still today a dominating feature of Kirkwall. Unusually, from c. 1100 onwards the Norse jarls owed allegiance both to Norway for Orkney and to the Scottish crown through their holdings as Earls of Caithness. In 1231 the line of Norse earls, unbroken since Rognvald, ended with Jon Haraldsson's murder in Thurso. The Earldom of Caithness was granted to Magnus, second son of the Earl of Angus, whom Haakon IV of Norway confirmed as Earl of Orkney in 1236. In 1290, the death of the child princess Margaret, Maid of Norway in Orkney, en route to mainland Scotland, created a disputed succession that led to the Wars of Scottish Independence. In 1379 the earldom passed to the Sinclair family, who were also barons of Roslin near Edinburgh. Evidence of the Viking presence is widespread, and includes the settlement at the Brough of Birsay, the vast majority of place names, and the runic inscriptions at Maeshowe. In 1468 Orkney was pledged by Christian I, in his capacity as King of Norway, as security against the payment of the dowry of his daughter Margaret, betrothed to James III of Scotland. However the money was never paid, and Orkney was annexed by the Kingdom of Scotland in 1472. From at least the 16th century, boats from mainland Scotland and the Netherlands dominated the local herring fishery. There is little evidence of an Orcadian fleet until the 19th century but it grew rapidly and 700 boats were involved by the 1840s with Stronsay and then later Stromness becoming leading centres of development. White fish never became as dominant as in other Scottish ports. During World War II, the politicians of German-occupied Norway asked German authorities to take over Orkney as Norway sought new opportunities for expansion. In the modern era, population peaked in the mid 19th century at just over 26,000 and declined for a century thereafter to a low of fewer than 17,000 in the 1970s. Declines were particularly significant in the outlying islands, some of which remain vulnerable to ongoing losses. Although Orkney is in many ways very distinct from the other islands and archipelagos of Scotland these trends are very similar to those experienced elsewhere. The archipelago's population grew by 11% in the decade to 2011 as recorded by the census. During the same period Scottish island populations as a whole grew by 4% to 103,702. The tidal currents, or "roosts" as some of them are called locally, off many of the isles are swift, with frequent whirlpools. The islands are notable for the absence of trees, which is partly accounted for by the amount of wind. The southern group of islands surrounds Scapa Flow. Hoy is the second largest of the Orkney Isles and Ward Hill at its northern end is the highest elevation in the archipelago. 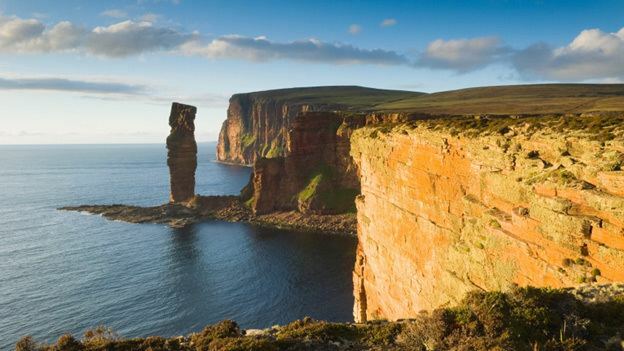 The Old Man of Hoy is a well-known seastack. Burray lies to the east of Scapa Flow and is linked by causeway to South Ronaldsay, which hosts the cultural events, the Festival of the Horse and the Boys' Ploughing Match on the third Saturday in August. It is also the location of the Neolithic Tomb of the Eagles. Graemsay and Flotta are both linked by ferry to the Mainland and Hoy, and the latter is known for its large oil terminal. South Walls has a 19th-century Martello tower and is connected to Hoy by the Ayre. South Ronaldsay, Burray, Glims Holm, and Lamb Holm are connected by road to the Mainland by the Churchill Barriers. Uninhabited South Islands include: Calf of Flotta, Cava, Copinsay, Corn Holm, Fara, Glims Holm, Hunda, Lamb Holm, Rysa Little, Switha and Swona. The Pentland Skerries lie further south, closer to the Scottish mainland. To tourists, one of the fascinations of the islands is their "nightless" summers. On the longest day, the sun rises at 03:00 and sets at 21:29 GMT and complete darkness is unknown. This long twilight is known in the Northern Isles as the "simmer dim". Winter nights are long. On the shortest day the sun rises at 09:05 and sets at 15:16. At this time of year the aurora borealis can occasionally be seen on the northern horizon during moderate auroral activity. Orkney Islands Council consists of 21 members, all of whom are independent, that is they do not stand as representatives of a political party. Fishing has declined in importance, but still employed 345 individuals in 2001, about 3.5% of the islands' economically active population, the modern industry concentrating on herring, white fish, lobsters, crabs and other shellfish, and salmon fish farming. Orkney has significant wind and marine energy resources, and renewable energy has recently come into prominence. Although Orkney is connected to the mainland, it generates over 100% of its net power from renewables. This comes mainly from wind turbines situated right across Orkney. The European Marine Energy Centre (EMEC) is a research facility operating a grid-connected wave test site at Billia Croo, off the west coast of the Orkney Mainland, and a tidal power test site in the Fall of Warness, off the northern island of Eday. At the official opening of the Eday project the site was described as "the first of its kind in the world set up to provide developers of wave and tidal energy devices with a purpose-built performance testing facility." During 2007 Scottish and Southern Energy plc in conjunction with the University of Strathclyde began the implementation of a Regional Power Zone in the Orkney archipelago. This scheme (that may be the first of its kind in the world) involves "active network management" that will make better use of existing infrastructure and allow a further 15MW of new "non-firm generation" output from renewables onto the network. Highland and Islands Airports operates the main airport in Orkney, Kirkwall Airport. Loganair, a franchise of Flybe, provides services to the Scottish mainland (Aberdeen, Edinburgh, Glasgow and Inverness), as well as to Sumburgh Airport in Shetland. The islands are the home of several international festivals, including the Orkney International Science Festival in September, a folk festival in May and the St Magnus International Arts Festival in June. At the beginning of recorded history, the islands were inhabited by the Picts, whose language was Brythonic. The Ogham script on the Buckquoy spindle-whorl is cited as evidence for the pre-Norse existence of Old Irish in Orkney. After the Norse occupation, the toponymy of Orkney became almost wholly West Norse. The Norse language changed into the local Norn, which lingered until the end of the 18th century, when it finally died out. Norn was replaced by the Orcadian dialect of Insular Scots. This dialect is at a low ebb due to the pervasive influences of television, education, and the large number of incomers. However, attempts are being made by some writers and radio presenters to revitalise its use and the distinctive sing-song accent and many dialect words of Norse origin remain in use. The Orcadian word most frequently encountered by visitors is peedie, meaning small, which may be derived from the French petit. An Orcadian is a native of Orkney, a term that reflects a strongly held identity with a tradition of understatement. Although the annexation of the earldom by Scotland took place over five centuries ago in 1472, many Orcadians regard themselves as Orcadians first and Scots second. Native Orcadians refer to the non-native residents of the islands as "ferry loupers", a term that has been in use for nearly two centuries at least.